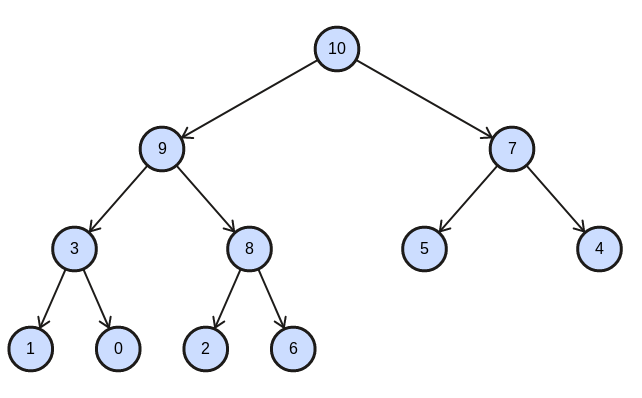 This article introduces the basic concepts of binary trees, and then works through a series of practice problems with solution code in Python. Binary trees have an elegant recursive pointer structure, so they are a good way to learn recursive pointer algorithms. A binary tree is made of nodes, where each node contains a left pointer, a right pointer, and a data element. The root pointer points to the topmost node in the tree. The left and right pointers recursively point to smaller subtrees on either side. A null pointer represents a binary tree with no elements--the empty tree. The formal recursive definition is: a tree is called binary tree if each node has zero child, one child, or two childern. 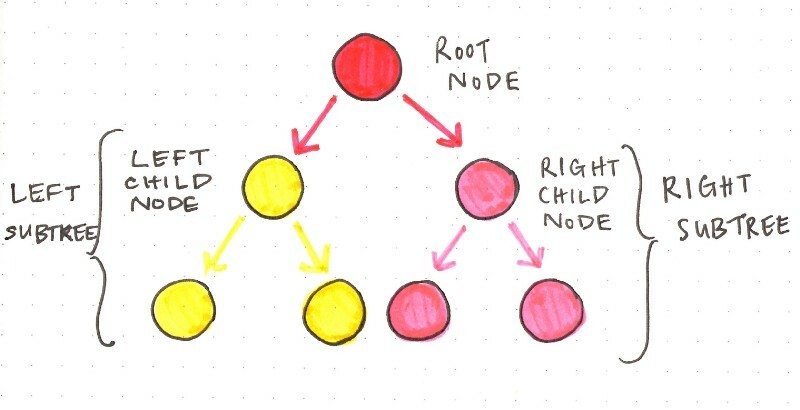 Strict Binary Tree: each node has exactly two children or no children. Full Binary Tree: each node has exactly two children and all leaf nodes are at the same level. 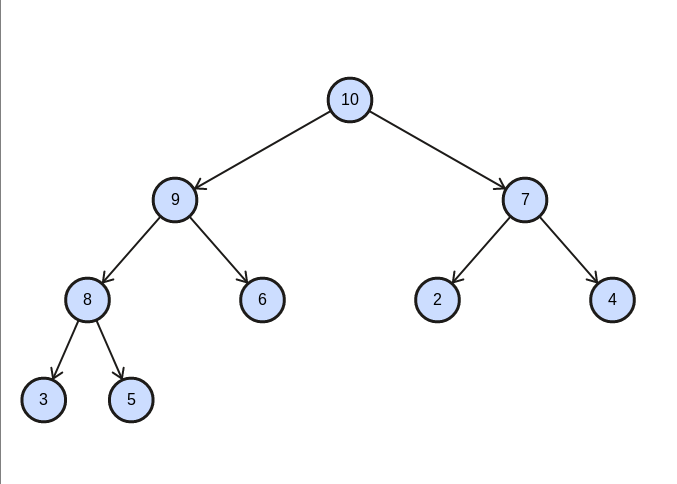 Complete Binary Tree: every level, except possibly the last, is completely filled, and all nodes are as far left as possible. """defines a BT node with data, left child, and right child pointers"""
The process of visiting all nodes of a tree is called tree traversal. Each node is processed only once but it may be visited more than once. Each node is processed before either of its subtrees. Even though each node is processed before the subtrees, this method still requires that some information must be maintained while moving down the tree. Therefore, processing must return to the right subtree after finishing the processing of the left subtree. To move to the right subtree after processing the left subtree, we must maintain the root information. The suitable data structure for such task is a stack. For an iterative solution, in order to simulate a stack, we use Python's list data structure. The push() method will be simulated by append() and the pop() method will be simulate by pop(). """Function performs preorder traversal iteratively.""" While traversing level $l$, keep all the elements at level $l+1$ in queue. Go to the next level and visit all the nodes at that level. Here are 4 binary tree problems with their Python implementations. Reading about a data structure is a fine introduction, but at some point the only way to learn is to actually try to solve some problems starting with a blank sheet of paper. To get the most out of these problems, you should at least attempt to solve them before looking at the solution. Even if your solution is not quite right, you will be building up the right skills. With any pointer-based code, it's a good idea to make memory drawings of a a few simple cases to see how the algorithm should work. Compare them with the root data and select the one which is giving the maximum/minimum value. """finds and returns maximum element in a binary tree"""
"""finds and returns minimum element in a binary tree"""
Using level order traversal: observe the current node's data while removing the element from the queue. 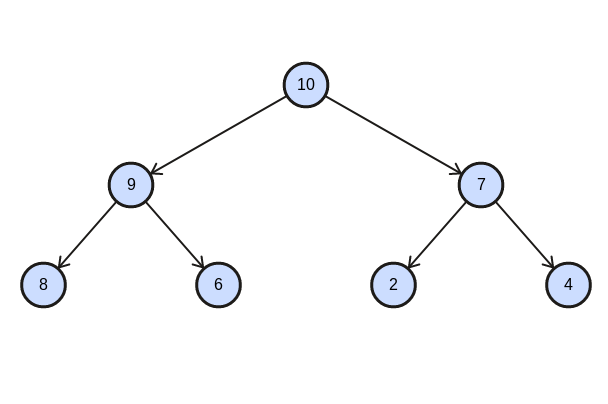 Return 1 if a node with data is found in the tree. Use level order traversal for solving this problem. The only change required in level order traversal is, checking whether the current node data is equal to the element we are looking for. """Function that search for an element in a given binary tree. Returns 1 if the element is found, and -1 if not found.""" """Function to find the size of a binary tree """
"""Function for printing the level order data in reverse order"""